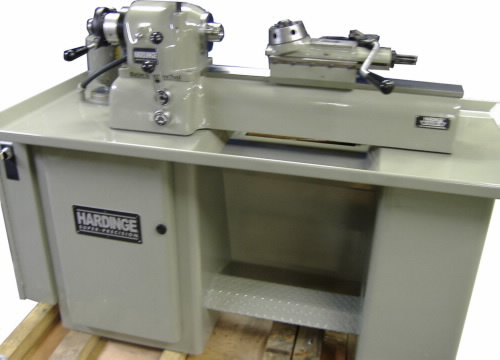 Have your Hardinge DV/ DSM-59 hand screw lathe rebuilt to new machine "feel" and high quality appearance. 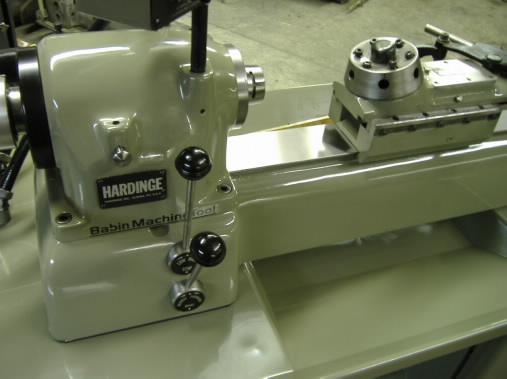 Rebuilding process includes complete disassembly, hand scraping of gibs and ways, reground dovetail bedplate, new precision spindle bearings, drive belts and brake, professional high gloss paint, refitting to "like-new" tolerances, and much more. 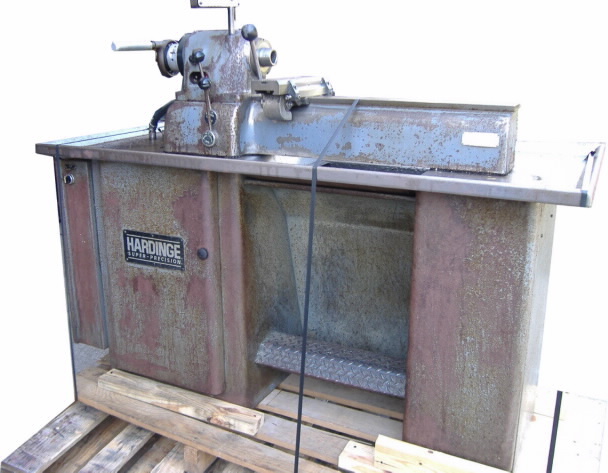 Leaving a lathe outside for �cleaning� in the rain did not help us. Impossible job? No, just a little more care and prep work by us. 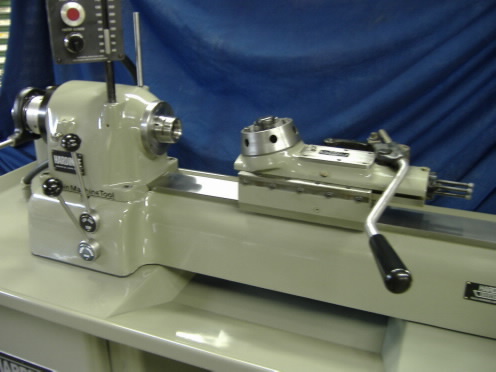 Our FL customer had sentimental reasons for rebuilding the owner�s first lathe. Scroll down to see the results. We love challenges every once in a while. Yikes! I think the headstock switch was sticky. Yes, it was changed. 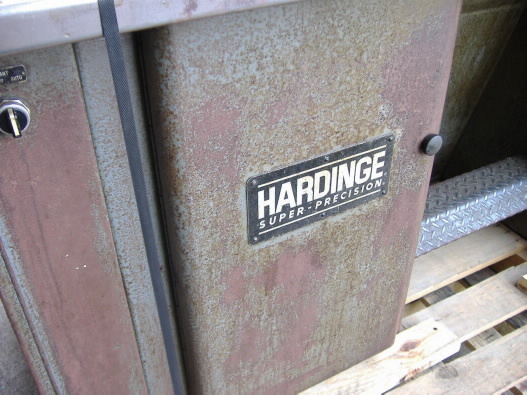 It looked good and ran excellent. Happy customer. 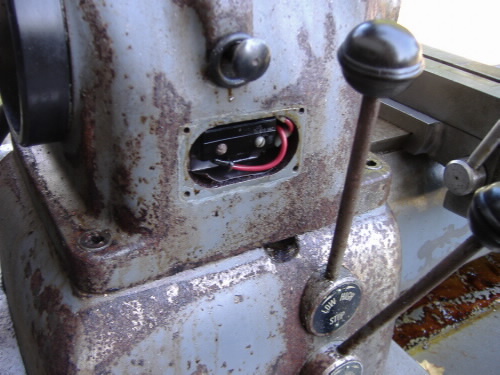 We can quote to rebuild only slides or turrets. 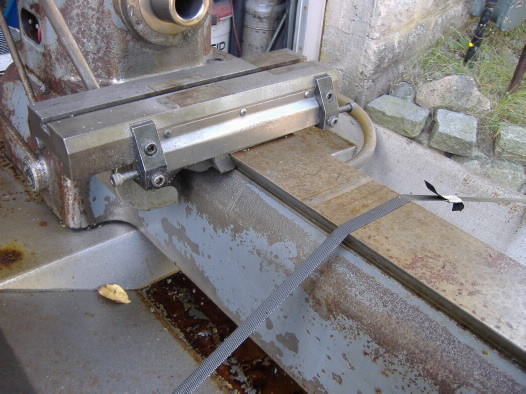 We�ll travel for on-site repairs.